Booking a hotel in Donsol: it is advisable to contact one of the listed accommodations to get the best deal unless already included in a tour package. Certain resorts host activities like whale shark interactions and firefly tours, so be sure to inquire with your place of stay first before signing up for a service elsewhere. USEFUL TIP: watch out for fraudulent websites that pretend to be the listed resorts. Also, some tour operators fail to pay their proposed hotel their dues, which can cause raise some issues. Be safe: check with the hotels below and/or ask your tour operator for the hotel name and call their number from below. - Bring cash. Nearest ATM is 1hr15min away. - No credit card facilities in Donsol except in Giddy's Dive Resort. - Take note of transfer times. Airport is 1hr15min away. - Whaleshark interaction is in the morning for about 3hrs. - Scuba diving is a whole-day activity. Sites are 2hrs away. - There is no travel agency in Donsol. - There is no official money changer in Donsol. 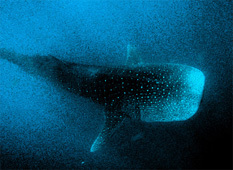 - Whaleshark season starts November and ends in June. - Diving and other activities all year round. Questions? Donsol Accomodation Not Yet Included?